On March 1st, j-hope of popular Korean boyband BTS, released his first solo album titled ‘Hope World’. His album, consisting of seven songs, became an instant hit, topping charts and breaking records. Bright colors greeted BTS fans, commonly known as ARMYs, on the cover of rapper and dancer j-hope’s debut solo album, Hope World, on March 1. Along with this, broken records greeted j-hope. His music video for “Daydream” became the fastest BTS music video to reach one million likes on YouTube, in one hour and 44 minutes, and in 24 hours, reached 10 million views, becoming the fastest Korean music video to do so. Hope World also topped the iTunes charts in 63 countries, and j-hope now holds the record for the most number ones on iTunes for any Korean artist. His album consists of seven songs and is a total of 20 minutes. This mixtape, nicknamed ‘Hixtape’, has been promised for more than two years and was highly anticipated, as evident in the records he broke. Was this album well worth the wait? 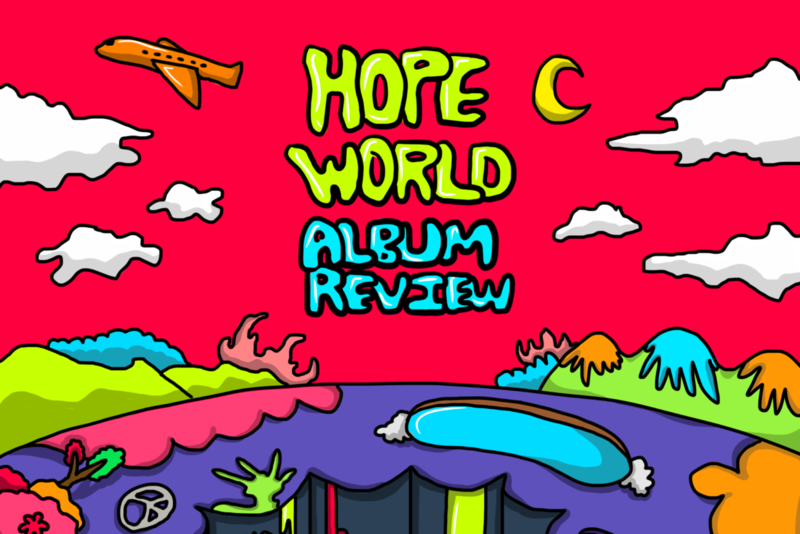 This mixtape, heavy with fast-paced beats, hits the ground running with “Hope World”, as j-hope reflects on what led to his happy-go-lucky personality and being known as the ‘sunshine’ of BTS. Despite its fast pace, it is a relatively light, chill song, demonstrating his artistic growth and separation from BTS, who generally has heavier beats and heavier meanings in its songs. The feel of “Hope World” sets the tone for the rest of the album, and especially for the title track “Daydream”. In this almost sorrowful song, j-hope expresses his desire to bring peace to other people and brighten their day, even just for a piece of the day, a theme that again reflects his vibrant personality. The actual rapping is done almost like he is singing, a style that is unique to him, compared to the other two rappers of BTS. The music punctuates the words, ‘piece of peace’, a predictable and boring move. Otherwise, the music has a nice sound but is not made for dancing, a choice that is surprising, considering it is made and performed by a dancer. The song starts with four claps and immediately, j-hope starts rapping and brings the listeners into his “Daydream”, as he discusses his want for an escape and he “wishes on a sky and wishes on a scar.” The song immediately gets you pumped and reflects the natural tendency we all have to get lost in our thoughts. Perhaps my favorite song on the album, “Baseline” is also the shortest, at just a little over one minute. It throws you off following the first few seconds of slow music, immediately followed by a fast rap repeating the term, ‘baseline’. He explains his baseline to success, which is hard work, in roughly a minute, and follows for 30 seconds with scratching. For me, a dancer for 11 years, the song immediately gets me moving and is just a fun bop for anyone to enjoy. Hangsang, which means ‘always’ in Korean, conveys a theme reminiscent of fellow band member Jungkook’s song, “Begin”, as it discusses the love he feels for his band and how he will always be with them. It, along with the next track, “Airplane”, also shows similarities to the rest of BTS’s music in general, with a heavy beat. The track starts with its catchy chorus, which includes Supreme Boi and j-hope rapping. Supreme Boi, a rapper and producer that has worked with BTS several times, takes the second verse, delivering a smooth, deep rap bringing a nice change to the previous high-pitched, sing-song that j-hope brings. The song is a great song to sing along to with your friends or dance to, and I thoroughly enjoyed it. The second song with a music video, “Airplane”, was released March 6. I am not very partial to “Airplane”, and while I do enjoy it, it is my least favorite. The beat is nice but slow, a type of music I am generally not a fan of, and the lyrics were not anything special, as he talks about appreciating his success, something common in BTS songs and a couple of his last songs. J-hope closes out with what is perhaps the most interesting of these seven songs. “Blue Side” uses distorted vocals in the background, saying that it’s ‘back to the blue side,’ while at the same time, j-hope sings about his love for someone, and how he wants to hold them, but cannot. 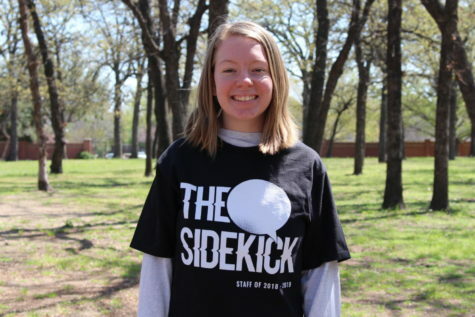 “Blue Side” is disappointing, as it starts out interesting, but ends up just repeating the phrase ‘blue side’ over and over again. I am not a fan of a repeating a phrase simply to fill a song. Ultimately, his album is worth the two long years, and I cannot wait for his next one.